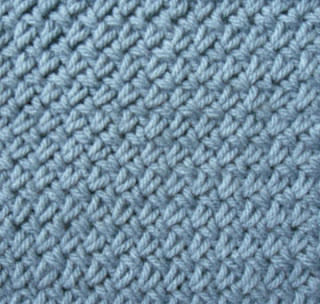 This is a tight stitch with good density. Appropriate for pillows, mats, coats, or anything that doesn't require drape and benefits with a stiffer material. Solid colors show up the dimensionality of this pattern, but it also could be very appealing in a heather yarn. 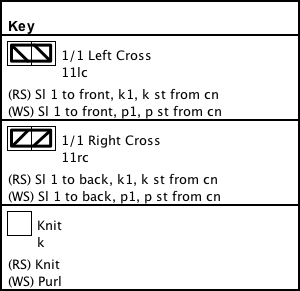 The chart shows a cable stitch, however given there are only ever two stitches involved, it is quite easy to knit the second stitch first by coming from the back, then knitting the first stitch and slipping them both off. And on the even (ws) rows, purl the second stitch first, then purl the first and slip both off.